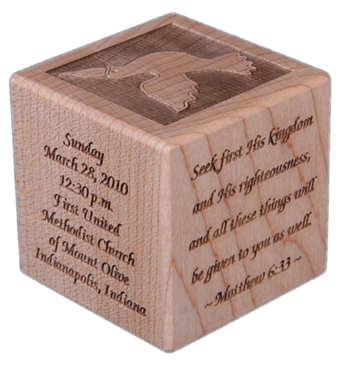 This block is a great way to commemorate a person's Confirmation in Christ. All the important information engraved on an all natural 2" square maple block. Easy to display on a shelf, dresser, or fireplace mantle. 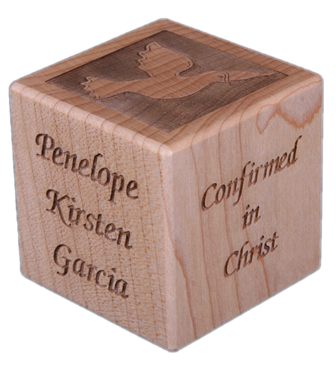 Our 2" square block personalized to celebrate a person's Confirmation in Christ. Laser engraved with the following details of a Confirmation: Person's full name, date, time, church, city and state of their Confirmation. Top of the block is engraved with a dove.